Annual tradition in walking in the parade. 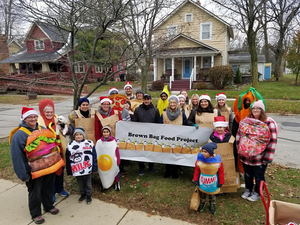 The Brown Bag Food Project held a second event with Pints and Paintswhich draw a larger crowd than our first event and helped raise nearly $400 to help Wood County families. 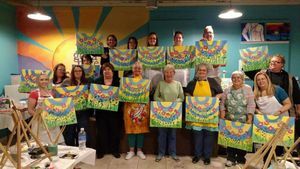 Pints ‘n’ Paints is a locally-owned and operated painting party studio which opened in 2015 in Perrysburg, Ohio. Join us in a fun, relaxed environment to create your own masterpiece while sharing a drink with your friends.